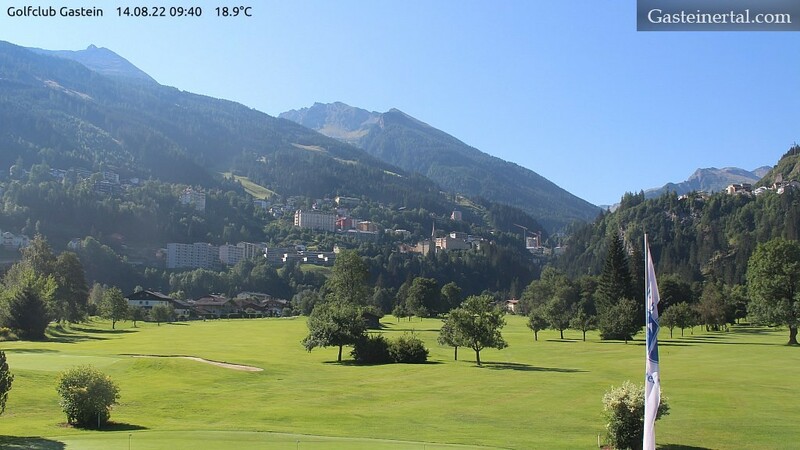 The Gastein Golf Club Webcam is located right next to the CESTA GRAND Aktivhotel & Spa. Please note that only one image is displayed at a time. Reload the page to see the next image of the webcam. Enjoy the wonderful panoramic view over the wide pistes in the Gastein valley or the impressive panorama in Sportgastein. Click on the arrow keys in the image (<>) to navigate between the webcams.